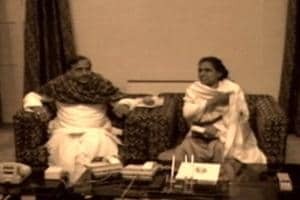 There is vitriol, election commission bans, communal, caste, alliance and nationalism politics - first we look at Madhya Pradesh where the contenders for the coveted Bhopal Lok Sabha seat have finally emerged - BJP will field Sadhvi Pragya - accused in the Malegaon blast case and out on bail - against former Madhya Pradesh Chief Minister Digvijaya Singh - Bhopal has been a BJP stronghold for 30 years - Congress has not tasted victory in the seat since 1989 - Bhopal goes to the polls on May 12. Election Epicentre: Will Law & Order In Yogiâ€™s U.P Hurt BJP in 2019? Election Epicentre: Alliance Wars to Define The Fight For 2019? Election Epicentre: Rahulâ€™s Minimum Income Guarantee Gamechanger or Jumla? Election Epicentre: United Opposition Project Crumbling? Election Epicentre: Congress Plays Offensive as Priyanka Gandhi Appointed In-charge of Eastern U.P. Election Epicentre: Priyanka Gandhi Vadra Appointed As Cong Party's In-Charge For Eastern U.P. EVMHackingCharge-Has Congress Scored A Self-Goal Ahead Of Polls? Election Epicentre: Is Congress Overconfident Or BSP Losing Its 'Maya'? 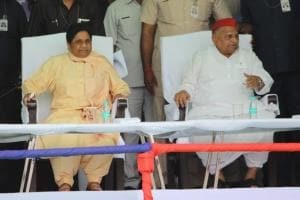 Election Epicentre: Will an SP-BSP Alliance and Congress Going It Alone Spell Trouble For The BJP?